Perhaps the hardest if the most satisfying job of the gardener is giving life to new plants. Playing God or Mother Nature (I’m not fussy about metaphors). Brave people like Emils are doing it well and for noble purposes. The everyday amateur in me has not excelled with seeds, but has gradually learned a thing or two about multiplying the existing stock. And now all this knowledge, and the ecosystem at MetaBroadcast have reached the tipping point where we’re starting to produce (rather than acquire) new air-cleansing creatures. Exciting times! 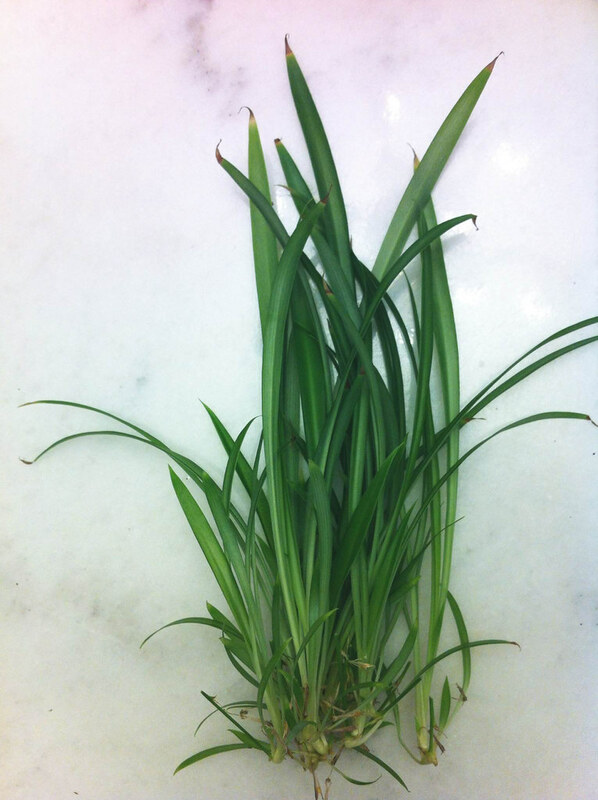 The first example is a really easy one: spider plants, when happy, bloom, then sprout new plants like mad. 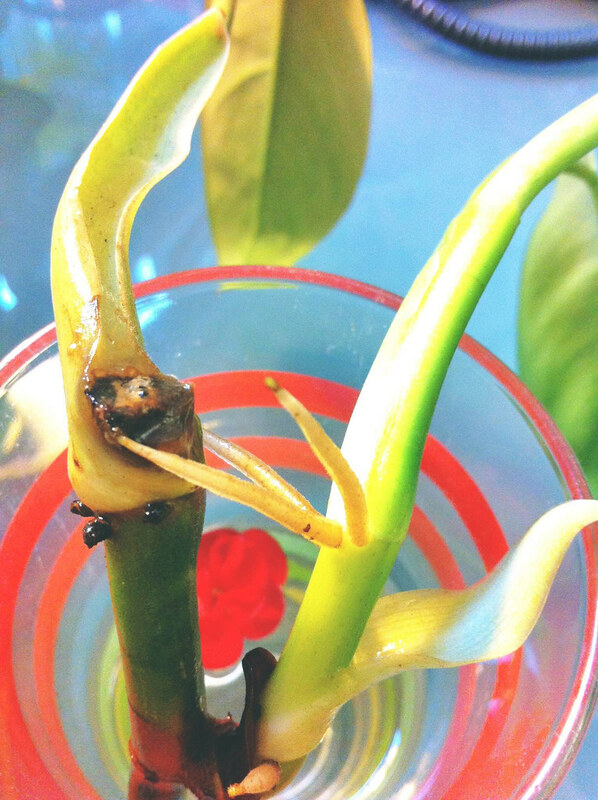 One can root them in water yet, often times, they root straight in the compost if happy. We have just the conditions for this champion plant of clean air to thrive, and as such more of its babies get planted every couple of months. This growing family in itself can make one exciting jungle, and it’s not hard to maintain. The second example is a rare philodendron type. I haven’t seen it in shops, and I’ve only found one person selling it in the entire UK. It grows fast, has a compact nature, is quick to root in water and has so far spread from one pot to two others, with a third on the way. Pure joy! Many plant cuttings are able to root in water, but few of those roots are strong enough to survive planting without perfect conditions, so a resilient plant that keeps giving is a godsent. 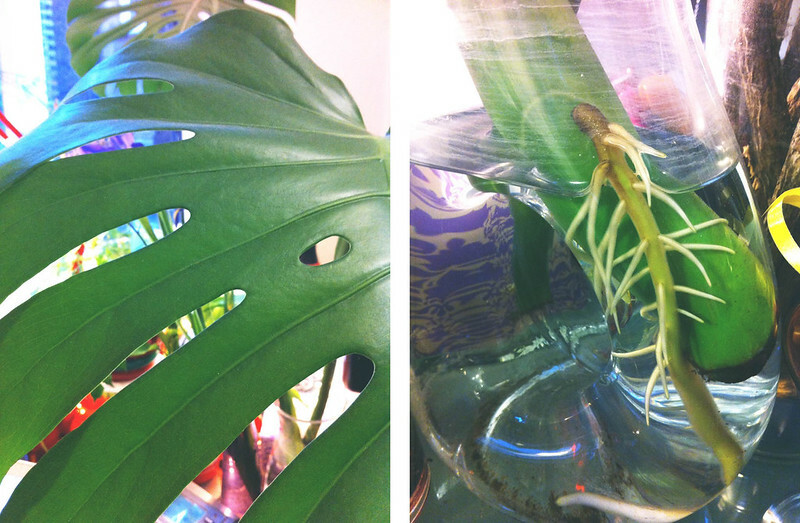 Finally, our resident monstera (cheese plant) from Make has seen two of its new leaves move a couple of floors down from the top of the building. It was getting too top-heavy for its own good and I knew it’d root with glee. Just look at that strong desire to live! Even better, the whole process takes place on my desk, which does not get an awful amount of light. And this way growth is assessed often under the watchful eye, until that Saturday in the office when I declare we’re putting new roots into the ground, and roll up my sleeves like a proud mother.